The SCCG was launched in 2009, and has been going strong ever since. Based on a unique combination of real referrals, a comprehensive mix of trades, a growing and engaged network and a successful online presence with top local search results, the SCCG is a local success story. 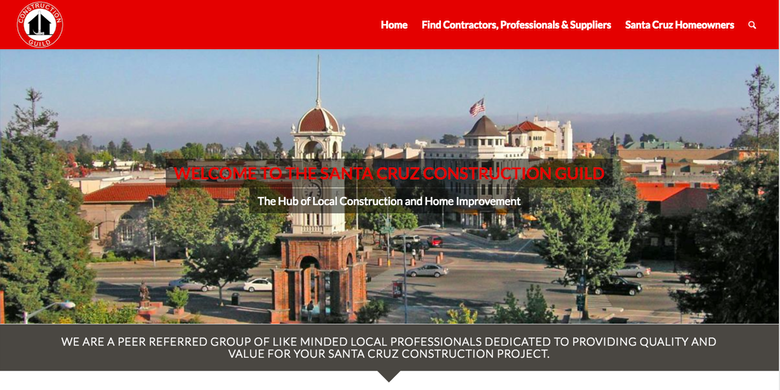 In 2016 we developed an app for the Santa Cruz Construction Guild. In 2017 we conducted a survey and then asked local Santa Cruz Contractors what they would find useful in an app. We had an idea. We thought it was a good one. But we wanted to know what the target market for such an app thought. 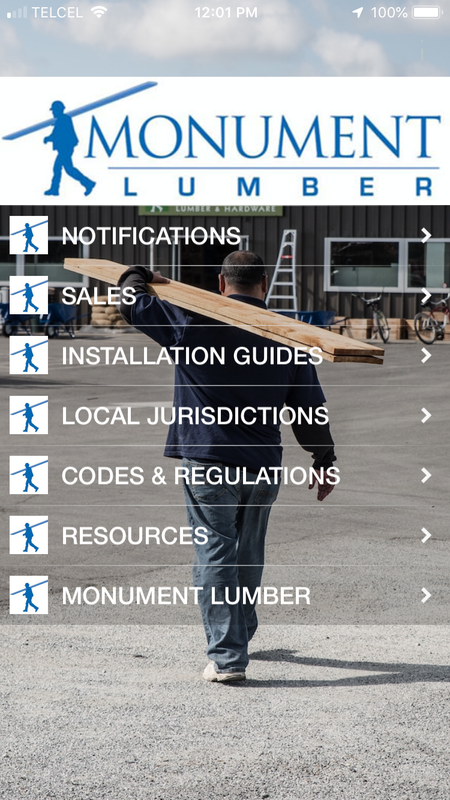 Our latest project, the Lumberyard App, was created out of the experience of building and running the Santa Cruz Construction Guild. ​In June 2018​ we published ​our first app, for Monument Lumber. Available in the app stores now. 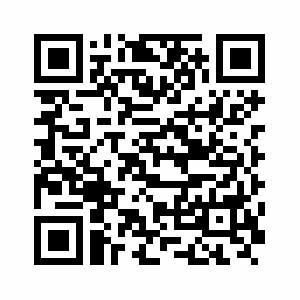 ​We are now working on version 2​​. Streamlining and refining the app which ​optimizes and turns your mobile responsive website into ​a valuable resource for your customers in the field, as well as giving you a way to reach out to your customers directly, instead​ of hoping they visit your website. Open your phone's camera and point it at the appropriate image below. As soon as the camera focuses a notification will pop up on your phone. Press on the notification to download the app. In 2013 Michael Hartrich, founder of the Santa Cruz Construction Guild, researched and wrote a book for builders and others in the construction trades to fill a need he saw in the market. While it seemed like most builders were not internet savvy, and not using social media to market themselves, that's where their more internet savvy potential clients were. The SCCG had already addressed one of the problems many local builders had, not having a good web presence and not knowing where to start. With the rise in popularity of social media, this was another opportunity for local builders to reach and connect with potential clients, yet many had no idea how to take advantage of it. Awesome Awesome Awesome. What a great, informative, useful, logical, credible, and smart book. Your writing is easy to follow, to the point, has great references, and is easy to follow. You add personal experiences from yourself and others which adds to the credibility that anyone can and will relate to. Keep it up. Stoked for you. OK, so I might be biased since I did write a chapter in the book but I still think this is an awesome resource for any contractor, large or small, new or seasoned, who is still trying to get their heads around this whole "online thing." It doesn't hurt that $5 of each sale goes to help families through Habitat for Humanity. A Must For All Internet Dinosaurs. As a general contractor, I don't have a lot of free time. All my time and energy goes into whatever project we're working on. There are material lists to create and order, framing details to iron out, work schedules, subcontractors to be called, and meetings with home owners, architects and engineers. My day starts at 6am and sometimes ends at 9 or 10pm. Building and maintaining a website for myself was the LAST thing on my priority list. I felt like I was swimming upstream. Thanks Mike, for turning me around. At least now, I'm pointed in the right direction. For his first online venture in 2005 Mike created a gathering place online for inventors who were also builders. Having just gone through the process of inventing, patenting and manufacturing his first invention, Mike realized that builders were by nature a resourceful, problem-solving bunch. Often having to 'invent' solutions on the job site to solve problems most builders never took their 'inventions' further. Having realized what it actually took, and knowing what a daunting task it could be, Mike wanted to create a place where builder inventors could find a community of like-minded individuals. The site took off, and inventors came to gather, share information, show off their inventions and to just hang out with like minded individuals. Today with minimal attention and only word-of-mouth advertising, the site has grown to nearly 600 members. 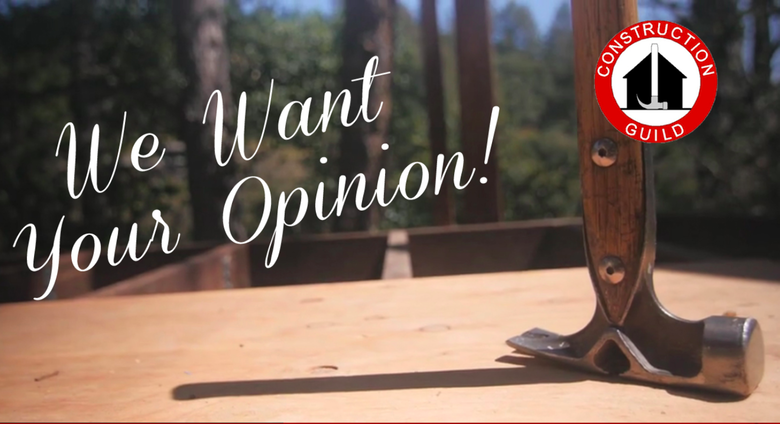 ​Michael Hartrich is a general contractor and the founder of the Santa Cruz Construction Guild. He has been in residential construction since 1980 and got ​his general contractor license in 1990. ​Mike's work experience covers all phases of residential construction with a focus on remodeling design-build​.